Heat oven to 350°F. Bake French bread according to package directions. Allow to cool 5 minutes, then cut into 1/2-inch slices. Heat a grill pan or outdoor grill to medium. Lightly brush each piece of bread with olive oil. Grill bread slices until grill marks appear. 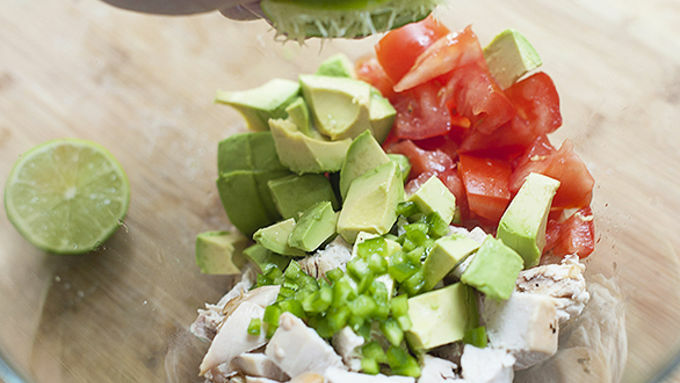 Mix diced chicken, tomato, avocado, jalapeno, cilantro, the juice of one lime and 2 tablespoons of the olive oil in a large bowl. Season with salt and pepper. Top grilled bread slices with chicken mixture and serve. Grilled fresh French bread topped with spicy chicken and all the lusciousness of bruschetta. Summer's perfect snack or app and it's yours super easy. We’ve got the perfect app for ya! 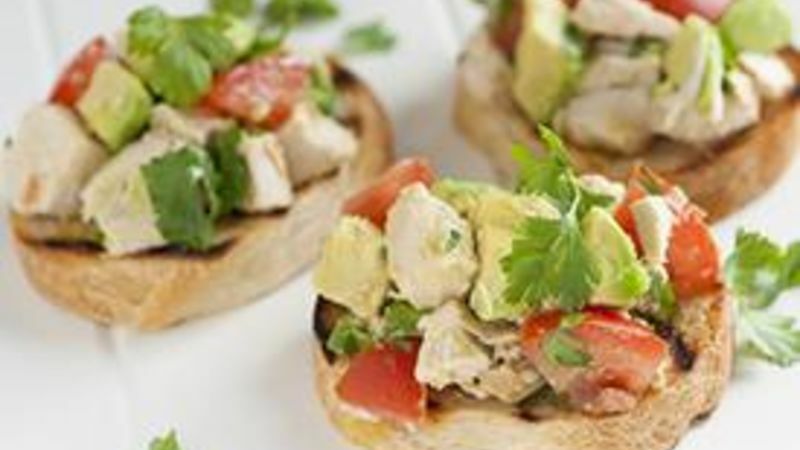 Our Spicy Grilled Chicken Bruschetta is bold, super easy and can definitely feed a crowd! It’s got warm grilled bread, spicy chicken and cool green avocados… what else could you possibly need? Okay, maybe a drink … we’ll leave that one up to you. The magic starts with freshly baked then grilled rustic bread. Not a bad start, right? 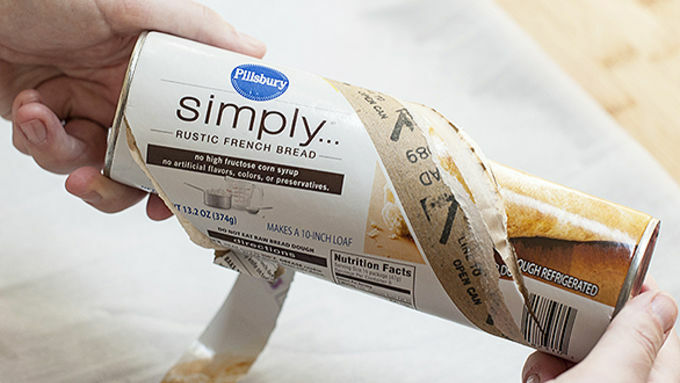 We used Pillsbury™’s Simply Rustic French Bread … all ya do is pop open the can, throw it onto a baking sheet and bake until golden brown. Do this part ahead of time if you want. Can you even begin to imagine resisting the smell of freshly baked bread!? We can’t! To go on top, we’ve got store-bought rotisserie chicken, sweet red tomato, cool green avocado, zesty limes, cilantro and fresh spicy jalapeno. Sounds good, right? We love spice, but thought we would go for medium, which means that we used about half a jalapeno. Feel free to taste as you go, just make sure you dice it into small pieces. Generously top the warm grilled bread and go at it!